These are some of the orders shipped this week as well as a shot of my cauliflower and carrot soup. Thanks so much to everyone who liked Suncatcher Craft Eyes on Facebook! 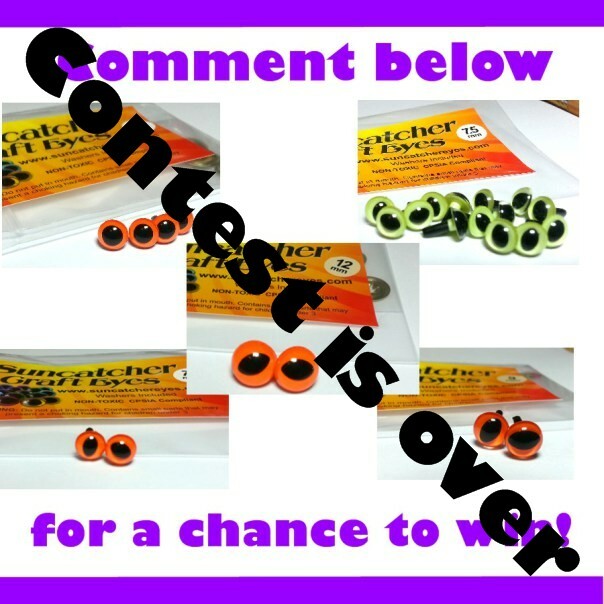 To celebrate reaching 3000 fans, I’m giving away 60 pair of Suncatcher Craft Eyes (10 colors in 6 sizes) to 2 winners. Visit my Facebook page by clicking the image above or going here to enter the giveaway. 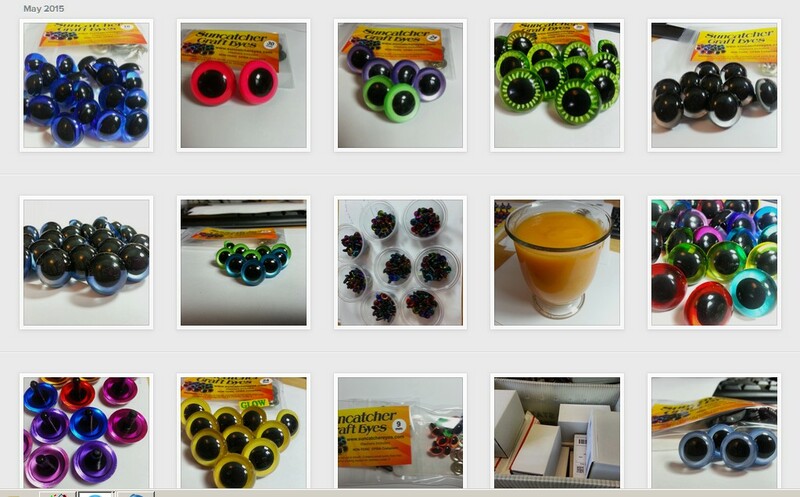 Visit the Suncatcher Craft Eyes website to see our entire collection and to shop for you custom craft eyes. It’s been such a busy few weeks. I’m reorganizing my business model to create more free time so I’m not working 10 hours a day. Last week I actually took almost a whole day off. It was wonderful. Here are a few of the orders that shipped this week. I’m try to take more photos to share with you. Follow me on Instagram to see lots more. 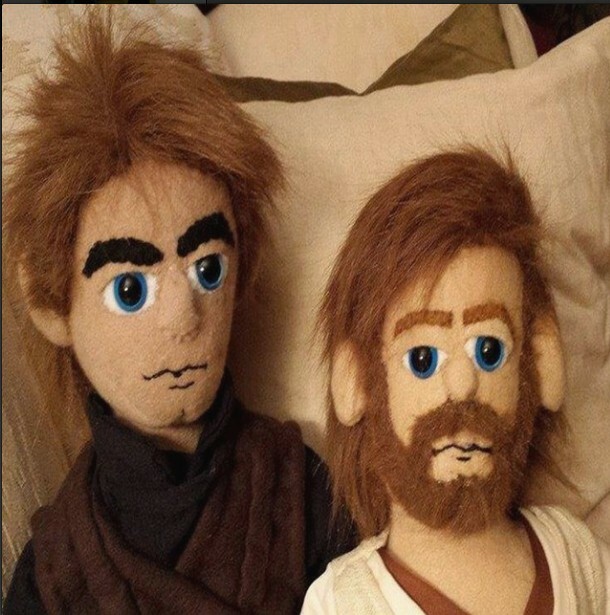 Fleecify sent me this photo of her Anakin and Obiwon. She’s so talented! Not sure which size or color you need for your project? You can order individual pairs of Suncatcher Craft Eyes in just about any size and color. Has your new year gotten off to a good start? Mine sure has. I’ve been really busy, just the way I like it! Best wishes to you all for a healthy and prosperous new year! Big Holiday Giveaway (day 4) – FreshStitches! 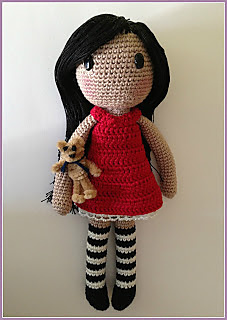 It’s day 4 of the Big Holiday Giveaway, and today’s featured amigurumi crochet designer is Stacey Trock of FreshStitches! Stacey has generously offered 1 pattern up to a $7 value to 1 lucky winner! I’ve been a fan of FreshStitches for a long time. Stacey not only creates adorable patterns, but she also shares her skill and experience with other crafters in her Free Beginner’s Guide to Amigurumi and all of her tutorials and instructional videos. Click on the image above to visit the FreshStitches website. You can find FreshStitches on Facebook, Ravelry, and Craftsy too! I’m getting together with some of your favorite amigurumi crochet designers to bring you an awesome giveaway for the holidays. So far the designers joining us include (in no particular order) Little Owls Hut, FreshStitches, Little Yarn Friends, AmigurumiPatterns.net, Planet June, One and Two Company, Forever Stitchin, and Crochet Ole’. Are you excited yet? I sure am! I could really use your help to make this an amazing giveaway. Where would be the best place to host this giveaway? Facebook is good for my small giveaways; but for a giveaway this size, I’d like to open it up to everyone whether they’re on Facebook or not. I’ve tried holding it with Google Docs on my blog, but it was rather restricting (but it was my first time using Google Docs, and I was learning as I went). Have you seen a great giveaway layout lately or do you have some ideas that I could try or do you know of a good giveaway-hosting venue? Please comment down below and let me know. 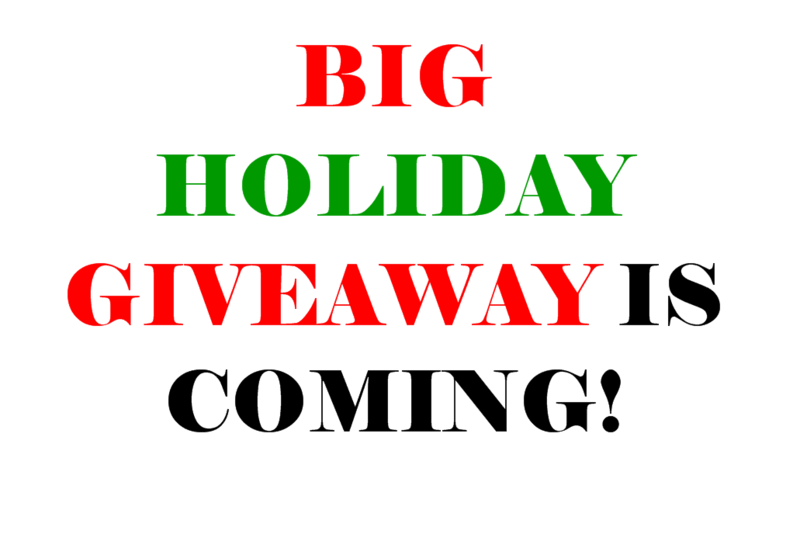 You guys have always give me terrific ideas, and with your help I’m sure this will be one Big Holiday Giveaway!!! Thank you for your ideas!